For decades, the made-in-India Arjun tank was seen as an also-ran, a noble Indian effort but one that fell short of the Army's expectations. Yes, the Army would acquire the Arjun in limited numbers but by no means would it be a replacement for the Russian-built T-72 or T-90, the mainstay of the Army's armoured formations. The numbers tell the story - more than 1,200 T-90 tanks are in service with the Army presently. By the time the last T-90s roll in, India will end up operating more than 2000 of the tanks. By contrast, the Army employs only 124 Arjun tanks in just two of its 67 Armoured regiments. Does that mean that the Arjun is a bad tank? It really depends who you ask. For years, cherry-picked data on the Arjun tank's faults seemed to highlight a series of seemingly insurmountable obstacles - the tank was too heavy, it wasn't reliable and it couldn't fire an anti-tank missile. This is all true, but was this reason enough to stifle the growth of the indigenously built tank? Arjun tanks of the Army's 43 Armoured Regiment are a part of RAPID or Reorganised Army Plains Infantry Division. To get a clear idea, I travelled to the Army's 43 Armoured Regiment in Jaisalmer armed with a few facts that the Army doesn't usually want to talk about. In 2010, in comparative trials between the Arjun and the T-90, not only did the Arjun hold its own, it was actually better in some respects than the Russian tank. In exercises lasting 96 hours, the Arjun and the T-90 faced off on 20 key operational parameters. Key among them were mobility, loading the tank with ammunition, tactical manoeuvres and the most significant of all, firing at the Army's Mahajan ranges in Rajasthan. The Arjun was found to be comparable to the T-90 in almost all respects and better in aspects of mobility - aided in no small measure by its German-made 1,400 horsepower engine which is significantly more powerful than the powerpack employed on the T-90. The invitation to visit the Arjun tank formation was unexpected. 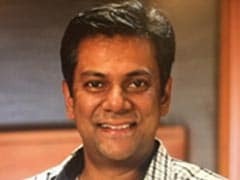 For years, I had made requests to visit an Arjun regiment only to be denied permission by Army Headquarters, worried about a possible controversy if 'the true story' of the Arjun were to emerge. There were some valid reasons for this concern. For decades, the Army has successfully operated the T-72 tank and the T-90, now being acquired, is based on this tank. Acquisition of the Arjun would result in a logistics nightmare since it has an entirely different supply chain of components. What's more, the Arjun, for decades, was a tank seemingly always in the process of being developed. Tired of waiting for its development cycle to end, and worried about the depleting strength of its tank units, the Army pushed for the Russian tanks and eventually got them. Two Army Armoured Regiments deploy the Arjun tank. What many hadn't catered for was the day when the production version of the Arjun, the Arjun Mk 1 not only starting exhibiting qualities of a genuine world beater but also seemed to have overcome many of its key problem areas. For starters - its weight. At 58.5 tonnes, the Arjun is among the heaviest tanks in the world, difficult to transport by rail and difficult to operate in areas where existing bridges and culverts could not handle its bulk. But today, in 2018, most of these problems have been resolved - an indigenously built bridge-layer, the Sarvatra, has been designed, from its inception, with the Arjun tank in mind - and can handle the weight of the tank with ease. The Sarvatra has been trial evaluated by 2 Arjun regiments and is in the process of induction. 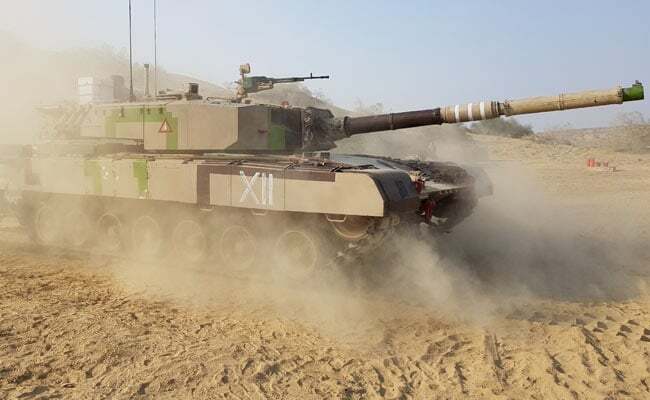 The Railways have deployed a type of bogey called BFAT (Bogey Flat Arjun Type) designed to transport the tank to areas where it may need to be operationally deployed. What's more, despite its weight, the nominal ground pressure of the tank or kilos per square centimeter, is comparable with any modern tank. Neither does the actual fighting ability of the Arjun Mk 1 fall short of tanks of its generation - A French built thermal imaging sight (which allows operations in pitch darkness) allows the detection of targets 5 kms away, recognition at 3 kms and identification 2 kilometres away. 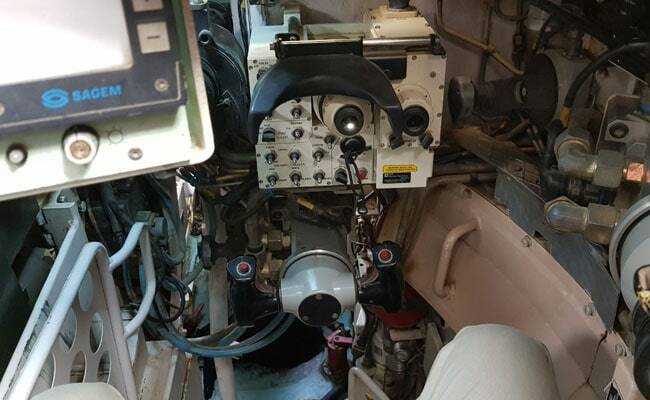 Arjun tank commander's position with gunners position below. Any enemy tank can be taken out at a range of 3 kilometres through the Arjun's 120 mm main gun, an entirely indigenous effort. The tank fires 2 kinds of shells - APFSDS (Armour Piercing Fin Stabilised Discarding Sabot) which can breach the armour of enemy tanks and HESH (High Explosive Squash Head) rounds meant to take on 'softer' targets including armoured personnel carriers or infantry bunkers. The accuracy of the system is such that 80 per cent of all targets are taken out with the first shell that is fired even when the tank is on the move - this compares favourably with any tank in the world. Key to ensuring this hit-rate is the Arjun suspension. An indigenous hydro-pneumatic unit, the suspension lets the Arjun glide over undulating cross-country terrain at 40 kilometres per hour while ensuring that the gun is stable enough to fire accurately. What the Arjun Mk 1 lacks is an anti tank guided missile and new generation Explosive Reactive Armour, designed to defeat incoming missiles. It also lacks electronic countermeasures designed to spook enemy missiles once they have been launched. 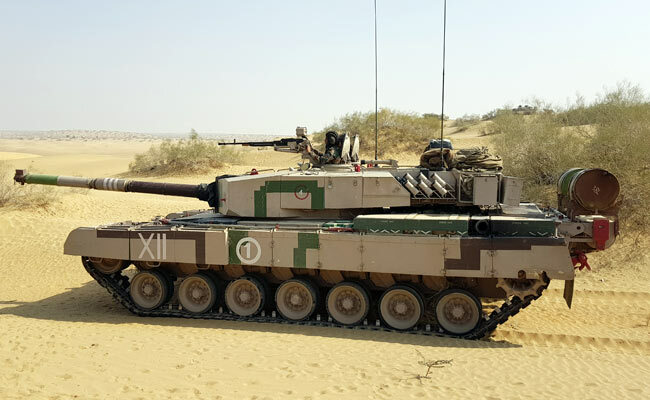 But here too, there are solutions - there is a new Arjun tank, its called the Arjun Mark 2, and its better than the existing tank in just about every critical parameter. Unveiled a few years ago, the Arjun Mk 2 incorporates 70 changes demanded by the Army. Its laser warning control system detects a missile homing in on the Arjun and fires aerosol grenades to confuse the incoming missile's seeker head. The tank is fitted with new Explosive Reactive Armour that the Mark 1 lacks and features a remote control weapon system - an externally mounted gun designed to take on helicopters and drones. 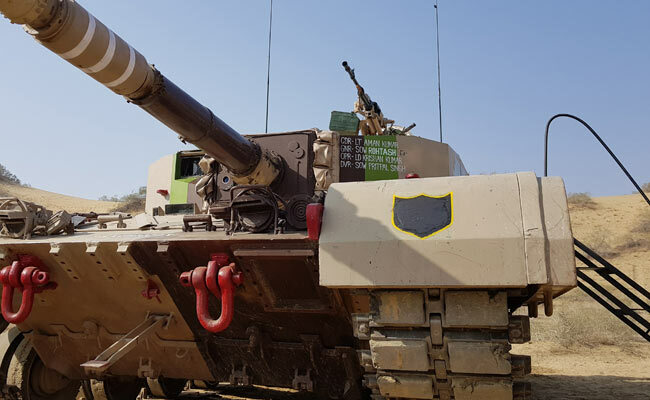 It also has a new integrated fire control system with an automatic target tracker, all systems which are designed to make the Arjun Mk 2's weapon system more accurate than its predecessor. Unfortunately, the Israeli made LAHAT missile meant to be fired through the tank's main gun failed its tests - it could not engage targets at ranges less than 1.2 kilometres with the precision that the Army required, a problem more to do with the operational philosophy of the missile in Israeli service. It turns out that the Israeli Army usually does not use anti-tank missiles at short ranges preferring to use the tank's primary weapon, its kinetic energy shells which are both faster and more lethal than anti-tank missiles in a close-range duel between tanks. India has since decided to built its own anti-tank missile. The Arjun project had to overcome adverse commentary from groups more impressed by foreign wares. There are interesting similarities between the Arjun project and the indigenous Tejas Light Combat Aircraft - both the Tejas and the Arjun have had protracted development phases - having to overcoming not just technical challenges in development but also adverse commentary from groups more impressed by foreign wares. Both have now emerged as very competent platforms at a time when Make in India is one of the government's flagship programmes. Last month, in a clear signal that it had not lost hope in the Tejas, the government paved the way for the manufacture of 83 Tejas Mk-1A fighters in a deal likely to be worth close to Rs.60,000 crores. In September, the new Defence Minister Nirmala Sitharaman visited 43 Armoured Regiment to get a first hand look at the Arjun tank. A month later, she visited the Combat Vehicles Research and Development Establishment in Chennai where the tank was developed - signals which some say are an indicator that the Arjun main battle tank's best days are yet to come.